Sustainability at #OFVC2016 - Tavares Group Consulting Inc.
Sustainability was featured in a number of sessions at last week’s Ontario Fruit and Vegetable Convention, held in Niagara Falls, Ontario. Nick Betts, from OMAFRA, presented current sustainable business trends and how they affect the agriculture industry. Over the years, sustainability within agriculture has expanded from soil quality to environmental quality (soil, air and water) to managing the triple bottom line (society/people, environment/plant and economy/profit). Today businesses must give consideration to the connectivity of the world. The availability of data increases the need for transparency within business, as producers no longer have singular control over the messaging surrounding their products. Even if a business is performing poorly, it is better to be transparent and demonstrate a plan for improvement and report on subsequent progress, rather than keep sustainability performance private. In addition, although the economic return on investment (ROI) for sustainability is well-documented (e.g. decreased operating costs, increased revenues and top talent acquisition), it is important for businesses to recognize that sustainable business practices also include social and political returns. The expectations of emerging consumer groups are changing, with the more and more people believing that business has a responsibility to create a better world. The Wine Council of Ontario (WCO) held a panel discussion on sustainable winemaking and sustainability certification within the wine industry. The session included speakers from Cave Spring Cellars, Peninsula Ridge Estates Winery, Pillitteri Estates Winery and Stratus Vineyards who presented some of the initiatives their wineries have taken to increase sustainability. Benefits to sustainability the wineries have realized include reduced energy and waste disposal costs, increased operational efficiencies and lower operating costs, talent retention and improved worker engagement, new product creation and subsequent revenue growth. Projects such as transitioning to LED lighting and using recirculated air to heat grape juice can help reduce energy costs, while improved filtration systems, gray water use and vertical wetlands, help to reduce the amount of wastewater generated while improving water quality. Operational efficiencies can also help to reduce costs, for example farm hands can be trained to spot problem pest areas allowing for targeting spraying which reduces the amount of product that needs to be purchased. Waste reduction is another area of focus for many wineries. Waste should be looked at as a resource and potential for new products and market opportunities. Mechanical equipment, such as rotary vacuums, can help recover more juice from the grapes and dry waste, resulting in lower waste disposal fees and the potential for new products as the recovered juice can be used for entry level wines. Other products from traditional winemaking “waste” include grape seed oil, compost made from grape pumice and even using grape leaves for chocolate. In addition to the environment, the wineries also discussed how looking to the social aspects of sustainability can provide tangible benefits. For example, a proper food safety system will promote worker safety but can also help with the export process, helping the winery meet the legislation requirements for exports to other countries. Sustainable organizations also attract enthusiastic workers and by providing a safe and happy working environment, wineries can increase employee engagement. The panelists also provided advice for smaller wineries who are interested in implementing sustainability. Sustainability is a continuous process and can start with small behaviour changes. It is important to review what is currently being done and make a plan, as many existing processes probably already contribute to sustainability. Smaller wineries should concentrate any larger efforts (e.g. spending) where they will have the biggest effect, for example in energy savings or water use. Small wineries can also benefit through co-operative efforts for large capital expenditures, such as equipment purchases, which has been done in the past for bottling. To see a full list of the Sustainably Certified Wineries in Ontario click here. The Grape Growers of Ontario (GGO) presented the voluntary sustainability certification program they recently developed with the WCO. Sustainability certifications are the norm for New World wines, with existing programs in many places including, New Zealand, Australia, South Africa, Chile, the United States and British Columbia. The Ontario Viticulture and Winery Sustainability Certification program sets a local sustainability standard for Ontario’s grape and Wine industry that will allow them to remain current and competitive on a global scale. The aim of the program is to educate and promote continuous improvement within sustainability. The program builds upon the existing Environmental Farm Plan by adding a social aspect. Development of the program was based on successful certification programs in California and Oregon, and similar to these programs, incorporates third party auditing. The session also emphasized many of the economic benefits to sustainability, such as improved soil health, cost reduction and revenue growth through increased market opportunities. 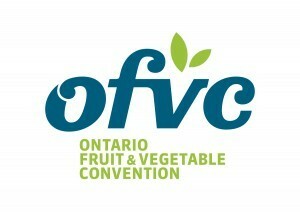 2017 will mark the 15th anniversary of the Ontario Fruit and Vegetable Convention. Click here for updates on next year’s convention and to join the mailing list. The Tavares Group Consulting team are approved sustainability auditors for the Ontario Viticulture and Winery Sustainability Certification Program.